According to a report by Reuters, the U.S. Court of Appeals for the Federal Circuit in Washington issued a ruling today that reversed an earlier decision that prohibited Oracle from claiming copyright for portions of its Java platform used by Google in Android. Google had argued in the original trial that Oracle's Java wasn't protected by copyright for a number of reasons, including the ideas that the code isn't purely a creative expression; that it used short phrasing and that Google borrowed Java API code in order to maintain interoperability with Java. The initial court agreed. Last December, Florian Mueller of FOSS Patents drew early attention to two reports indicating that the court would likely reverse the original ruling by District Judge William Alsup. Appeals court finds previous decision favoring Android "erroneous"
Google's original win has now been essentially overturned in its entirety. As the appeals court explained, "Oracle asserts that all of the trial court's conclusions regarding copyrightability are erroneous. "Oracle argues that its Java API packages are entitled to protection under the Copyright Act because they are expressive and could have been written and organized in any number of ways to achieve the same functions. "Specifically, Oracle argues that the district court erred when it: (1) concluded that each line of declaring code is uncopyrightable because the idea and expression have merged; (2) found the declaring code uncopyrightable because it employs short phrases; (3) found all aspects of the SSO devoid of protection as a 'method of operation' under 17 U.S.C. § 102(b); and (4) invoked Google's 'interoperability' concerns in the copyrightability analysis. 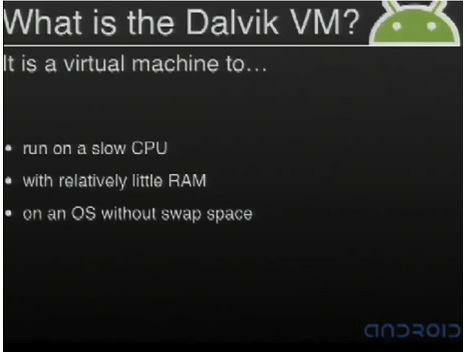 For the reasons explained below, we agree with Oracle on each point." Oracle can now sue over "unfair use"
In particular, the appeals court noted, "given the record evidence that Google designed Android so that it would not be compatible with the Java platform, or the JVM specifically, we find Google's interoperability argument confusing." Following the ruling, Oracle issued a statement to the media saying, "We are extremely pleased that the Federal Circuit denied Google's attempt to drastically limit copyright protection for computer code. The Federal Circuit's opinion is a win for Oracle and the entire software industry that relies on copyright protection to fuel innovation and ensure that developers are rewarded for their breakthroughs. We are confident that the district court will appropriately apply the fair use doctrine on remand, which is not intended to protect naked commercial exploitation of copyrighted material." In August, Oracle's chief executive Larry Ellison stated, "When you write a program for the Android phone, you use the Oracle Java tools for everything. And then at the very end, you press a button and say, 'Convert this to Android format.' We don't compete with Google. We don't do anything Google does. We just think they took our stuff, and that was wrong." Apple co-founder Steve Jobs held a similar view on Android, declaring it a "stolen product" in interviews with biographer Walter Isaacson. Jobs and Ellison were close, with Ellison referred to Jobs as his "best friend for 25 years." 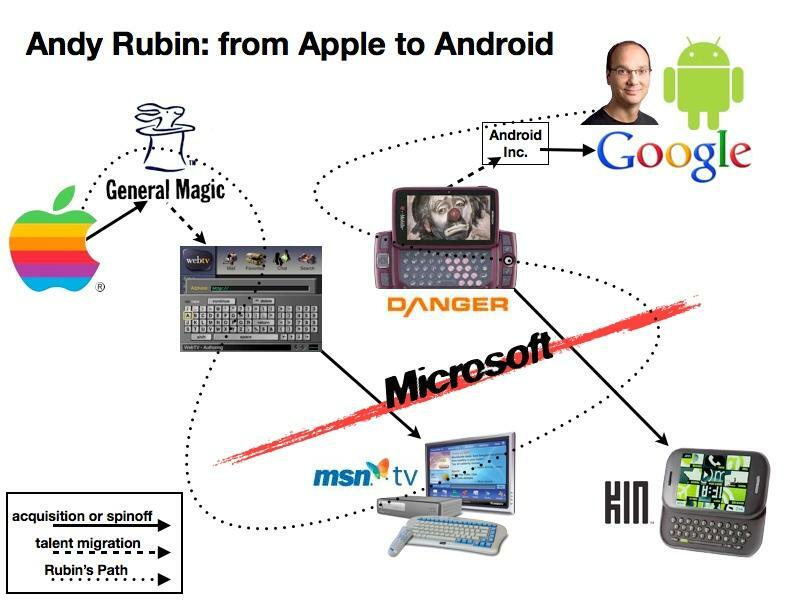 Google acquired Andy Rubin's Android startup in 2005, at a time when the small company was working on a Java Mobile device as a sequel to Danger, a similar Java Mobile product that also licensed its use of Java software from Sun. 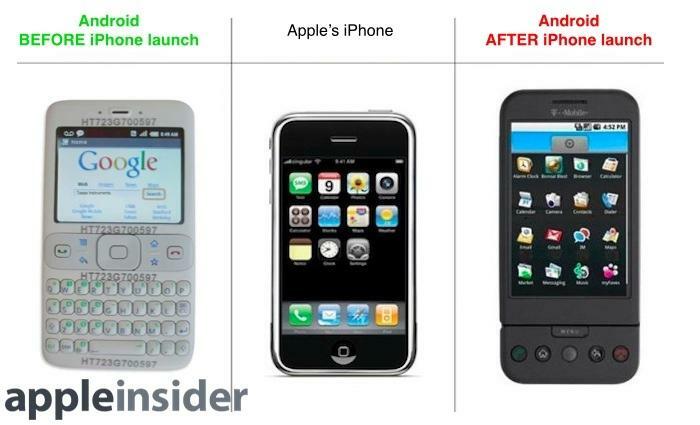 Google originally sought to develop Android as a Java Mobile button-phone platform similar to BlackBerry or Windows Mobile, but was blindsided by Apple's release of iPhone in 2007. The search giant then shifted gears to develop a more powerful device pattered directly on the far more ambitious and sophisticated features and functionality Apple had delivered. A key part of that strategy involved appropriating the value of Java Mobile, then owned by Sun, to create a replacement that used the same language and API construction to leverage developers' existing familiarity with Java Mobile, then the dominant mobile platform. Google's free distribution of its modified version of Java Mobile rapidly replaced Sun's own software as the platform for low end mobile devices. After Oracle acquired Sun in 2010, it filed a lawsuit against Google involving copyright infringement of Java by Android. Oracle sought both damages against Google and a legal injunction on its distribution, describing Google's Android as an "incompatible clone of Java." Thirty years ago in 1983, Apple laid important legal groundwork for arguing copyright claims over software in its case against clone builder Franklin Computer. Just one year after IBM entered the nascent personal computer market with Microsoft in 1982, Apple sued to stop Franklin from cloning its well established Apple II, calling into question whether operating system software could be protected under copyright as a creative expression, rather than simply being a process or an idea, things that copyright does not protect. Franklin argued that Apple's code wasn't worthy of protection. Franklin also maintained that there were no real alternatives in developing non-infringing code and argued that the court should allow it to infringe upon Apple's work because it was not a large threat to Apple and would otherwise go out of business, arguments that sound very similar to Google's modern-day defense of Android.